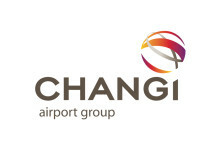 21 July 2014 (Amended) – Changi Airport Group (CAG) today issued a foodie alert! 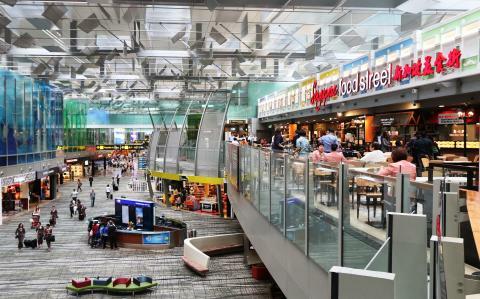 Passengers can now partake in Singapore’s national pastime before they fly – feasting on the island’s best-loved hawker cuisine – all in a single stop at the new Singapore Food Street at Changi Airport’s Terminal 3 (T3). Occupying around 1,000sqm on the third level of T3’s Departure Transit Mall, the Singapore Food Street, operated by Select Group Limited, features 13 stalls with a wide array of over 200 popular hawker dishes. It is an interesting prospect for foreign travellers who are keen to experience Singapore’s colourful hawker food culture. Among the stalls found at the Singapore Food Street are popular hawker names, Sin Ming Road Rong Cheng Bak Kut Teh (pork rib soup) and Odeon Beef Noodles. Passengers on transit can get a good flavour of Singapore’s street delicacies, without even stepping out of the airport. Beyond exciting food offerings, the Singapore Food Street showcases Singapore’s diverse food culture and rich heritage. The spacious dining environment features Peranakan-style decor and nostalgic-looking pushcarts seen in 1960s-Singapore, bringing diners back to the memorable era where many of the best meals were found at the roadsides. Some of the food street’s hawker stalls have a rich tradition and heritage behind them, with many Singaporeans having fond memories of their dining experiences since years ago. Odeon Beef Noodles, for instance, is a household hawker name in Singapore with history dating as far back as the 1970s. Located opposite the old Odeon theatre at North Bridge Road, the original Odeon Beef Noodle stall used to be the place to go for a comforting bowl of piping hot beef noodles after a long day. While that original stall is no longer around, its founding family has successfully expanded the brand to several locations around Singapore today. “The Singapore Food Street is a strong addition to Changi Airport’s diverse range of dining offerings. It brings to the airport Singapore’s colourful hawker food culture, which is a big part of the average Singaporean’s lifestyle. We look forward to bringing in more exciting dining options to satisfy the preferences of our diverse group of passengers,” said Ms Ivy Wong, CAG’s Senior Vice President, Airside Concessions. There are more than 120 dining outlets located across Changi’s three terminals, of which over half are located within the transit areas. Changi Airport is the world's fifth busiest airport for international traffic. It served a record 53.7 million passengers from around the globe in 2013. More than 350 retail stores and 120 F&B outlets are situated across three terminals to cater to passengers and visitors. With over 100 airlines providing connectivity to 290 cities worldwide, Changi Airport handles about 6,700 flights every week, or about one every 90 seconds.